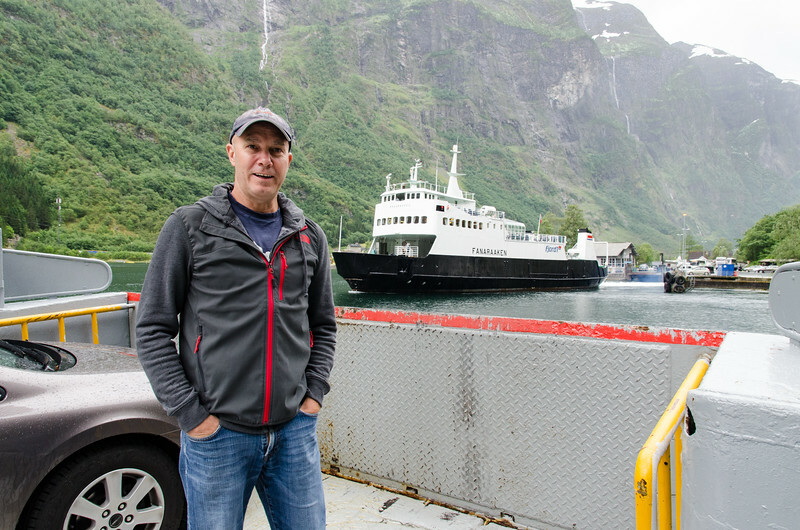 We took a full day to drive from the tiny town of Innvik on Nordfjord to Balestrand on Sognefjord. 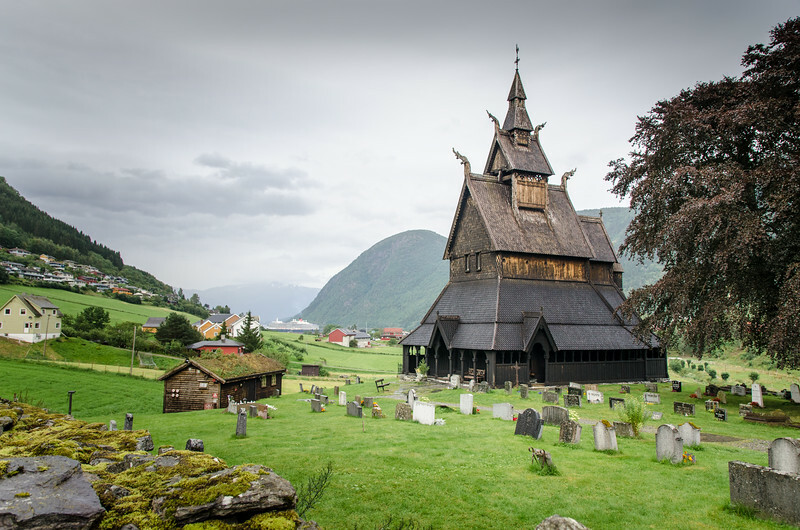 We crossed Songnefjord twice, saw glaciers, beautiful lakes in mountain valleys, an ancient stave church and much more. 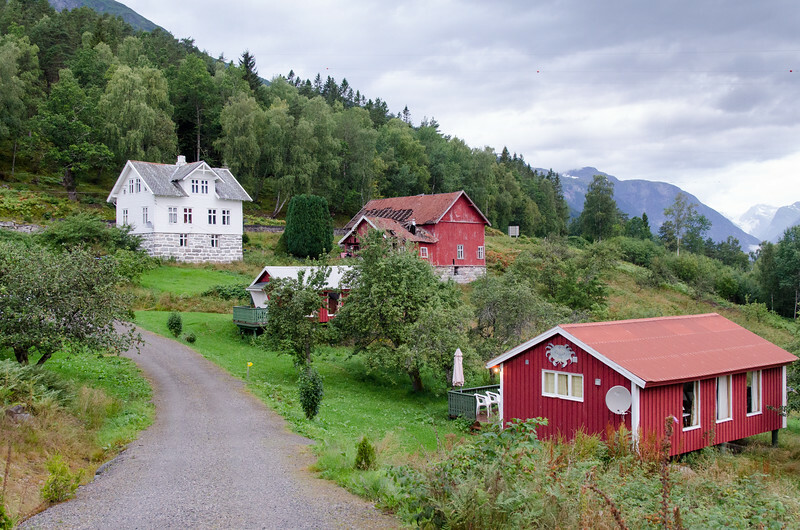 Norway is mostly rural, if you cheap out and don't rent a car you a going to miss out on a lot. 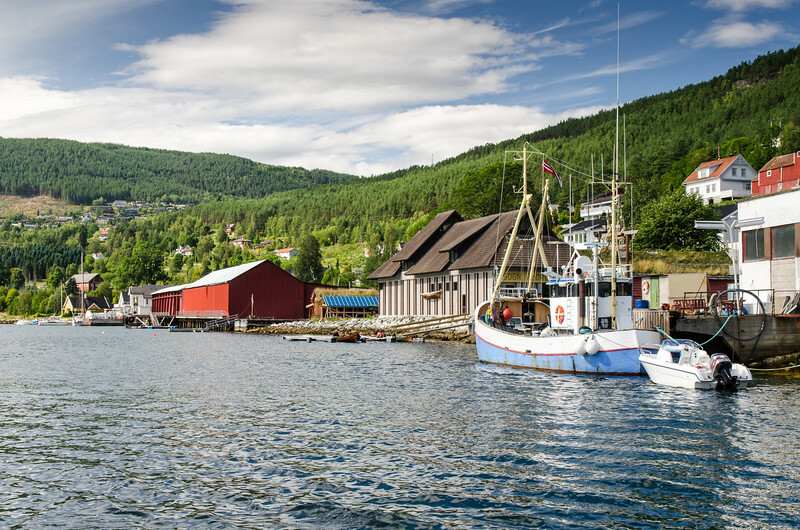 We started a long day of driving in Innvik on the Nordfjord. 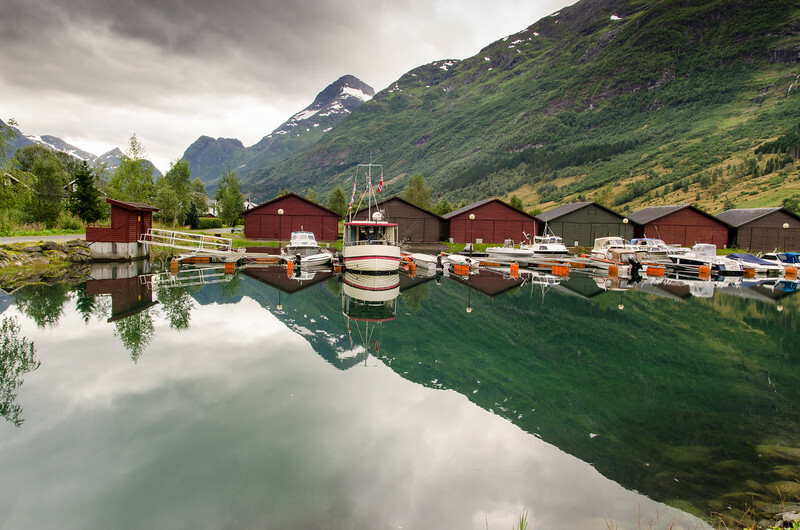 Here you just have to love the mirror-like reflections in the glassy smooth water of the fjord. 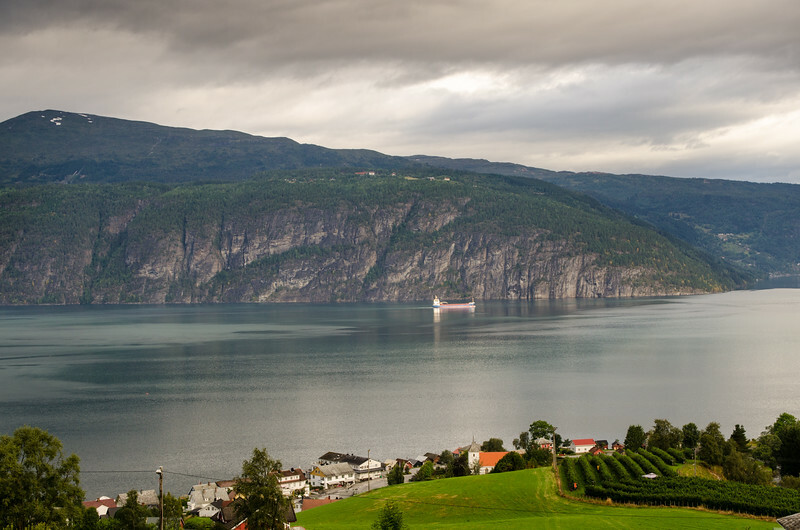 As we start to make our way up the switchbacks and into the mountains we had to take a moment to appreciate the view over the Nordfjord with a freighter slowly headed inland. 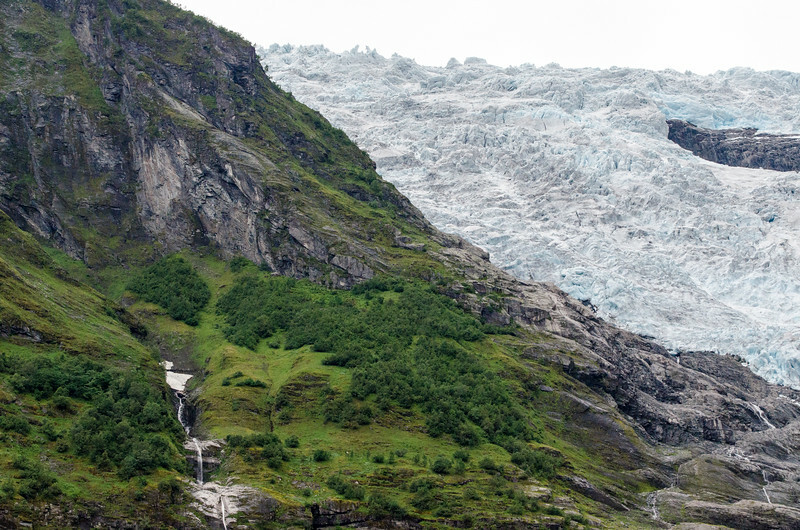 Our first stop today is at the Boyabreen Glacier. 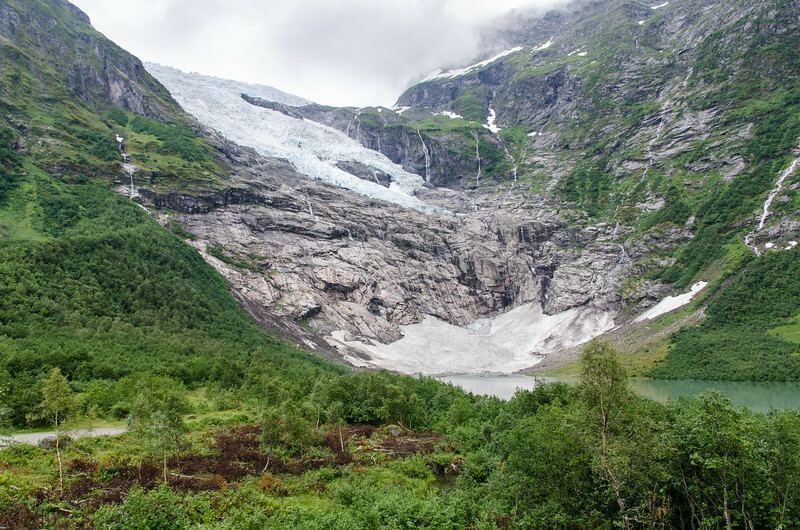 You're really just seeing the edge of the glacier as it slowly spills into the bowl-shaped valley to form the small lake. 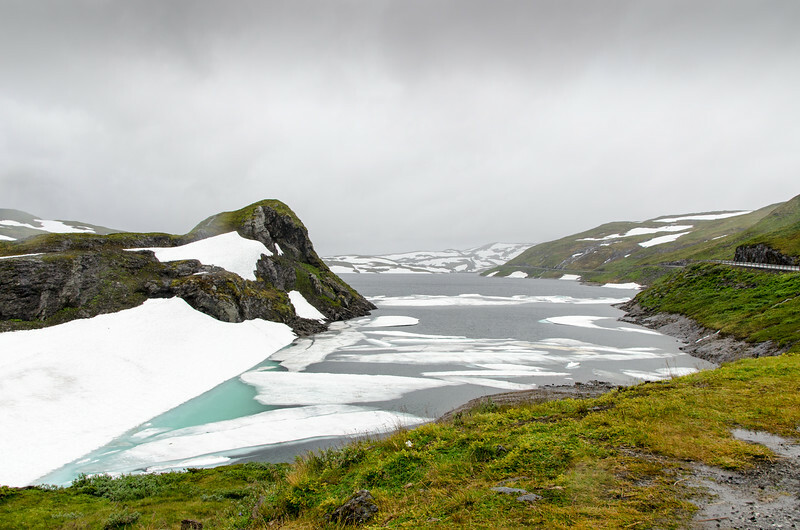 Even in August there are chunks of ice floating in the lake. 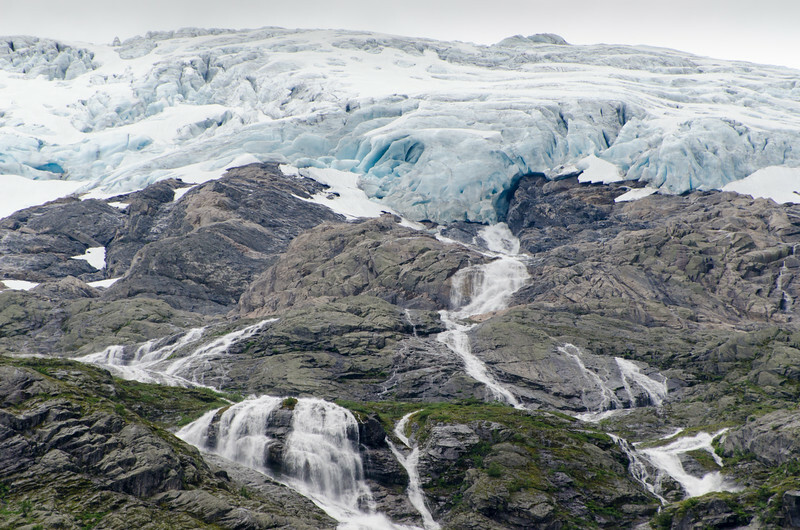 A close-up shot showing the massive amount of water flowing from the glacier. 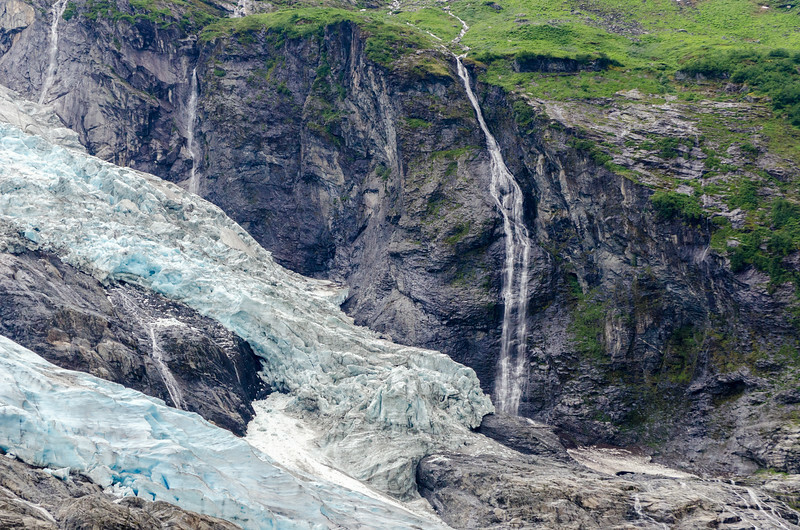 You can really see how the glacier flows in this shot. 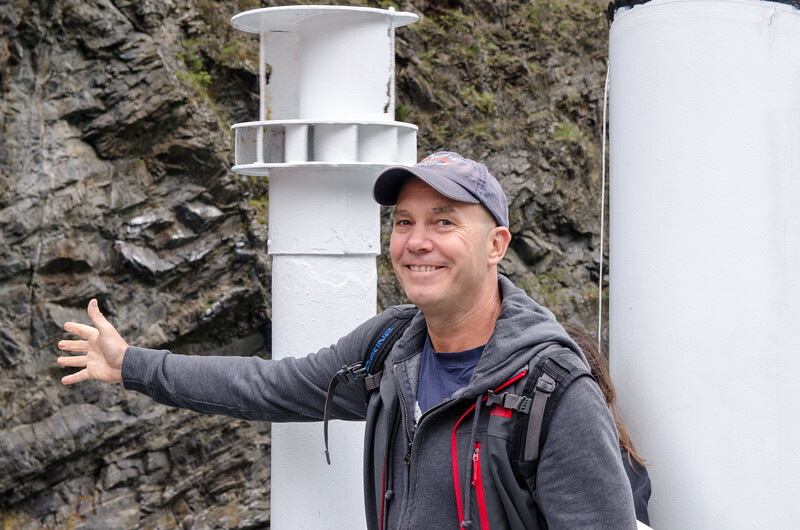 If you want to see where this is (or any of the photos) just click the "i" info button below and select map. 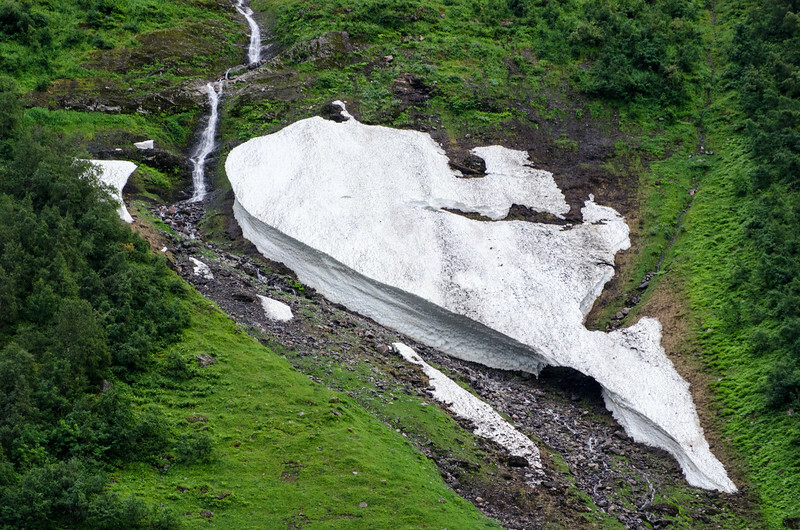 This is the end of the summer, imagine how much ice and snow is here in the Spring. 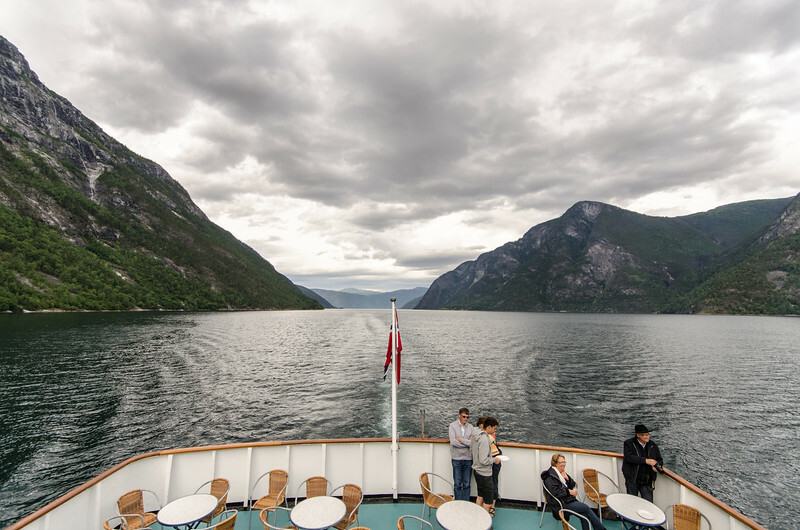 This is our first glimpse of the Sognefjord, the largest fjord in Norway. 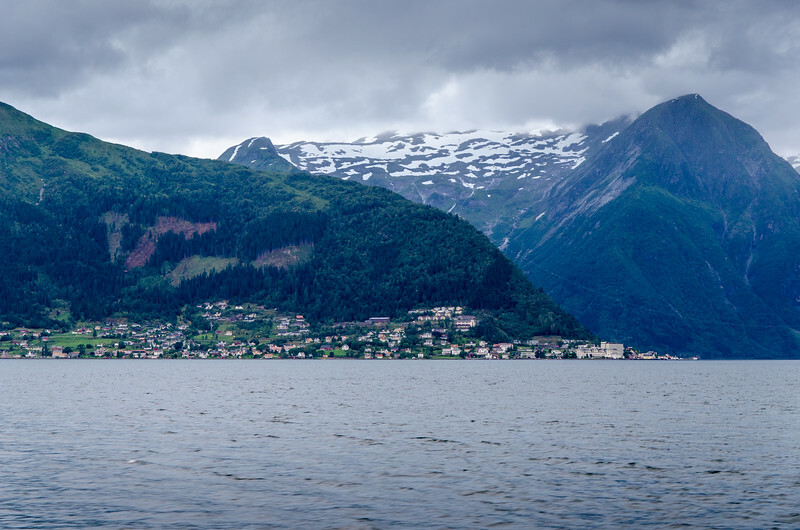 This is an offshoot of Sognefjord north of Balestrand. 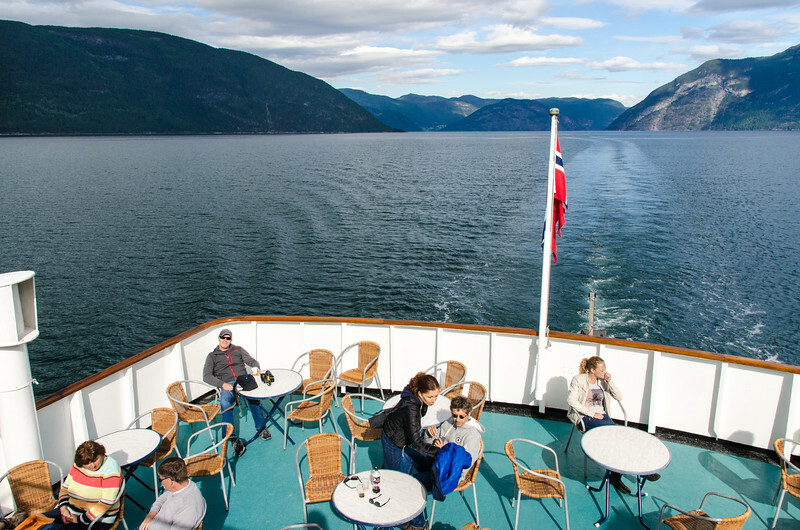 Many hours later and after two crossings of the fjord we will be in Balestrand. 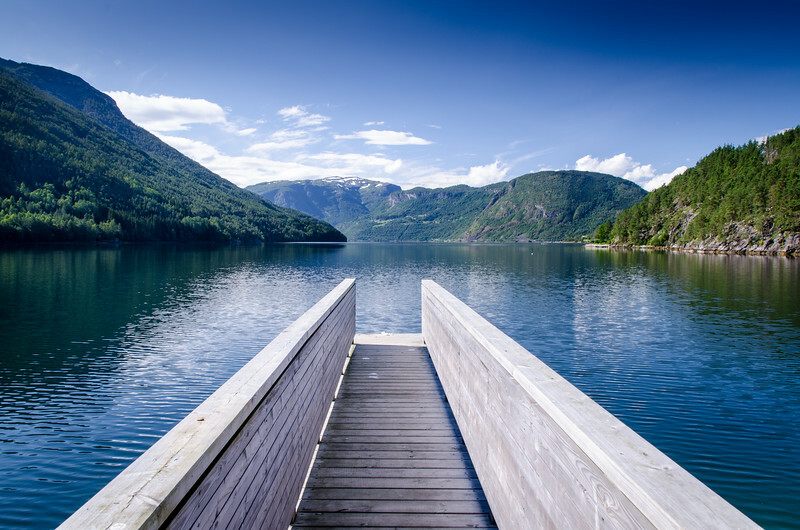 Passing beautiful Dalavatnet (a lake). Notice how warm and sunny it is? 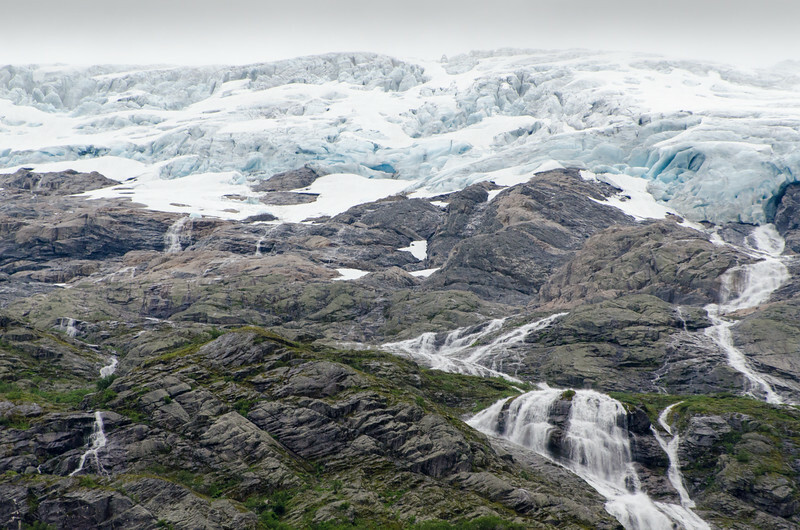 A dramtic change from the weather at the glacier in just a short drive. 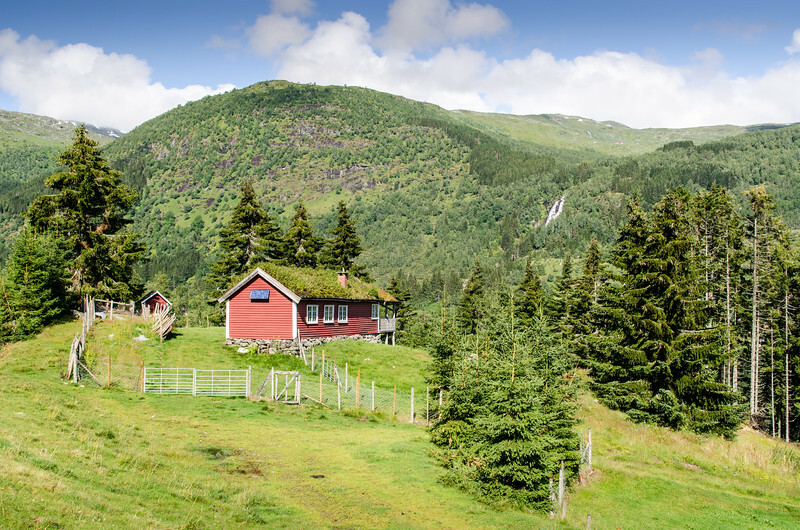 Charming farmhouse with a traditional sod roof. 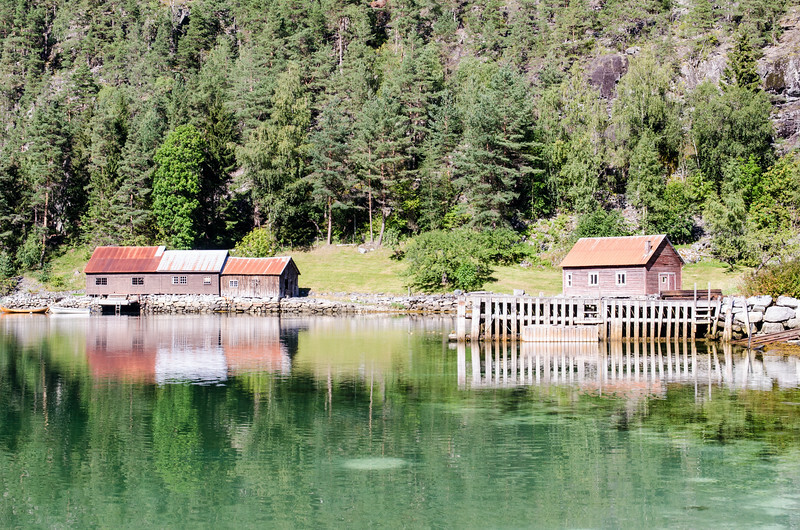 This charming cove was our lunch stop. We bought some groceries in Sognal a few miles back. Not a bad view at our lunch stop. 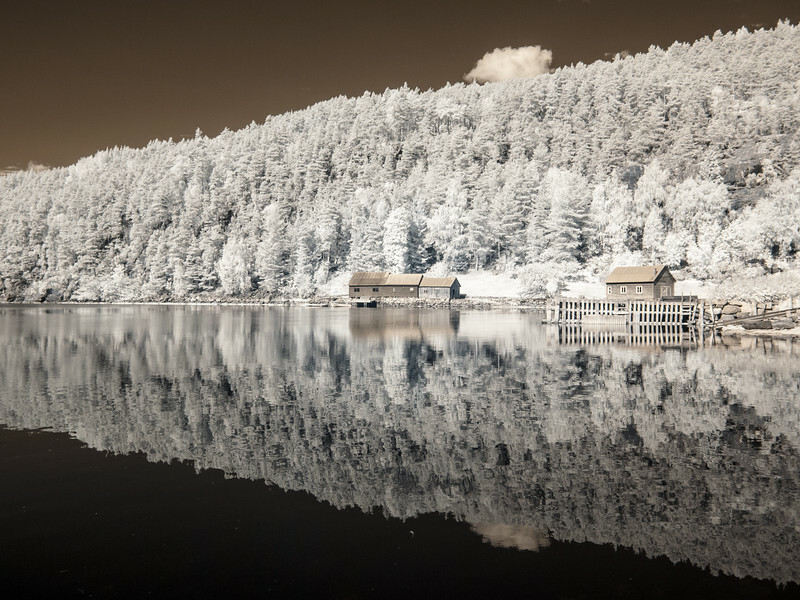 I like how these views of our picnic spot turned out in infrared. 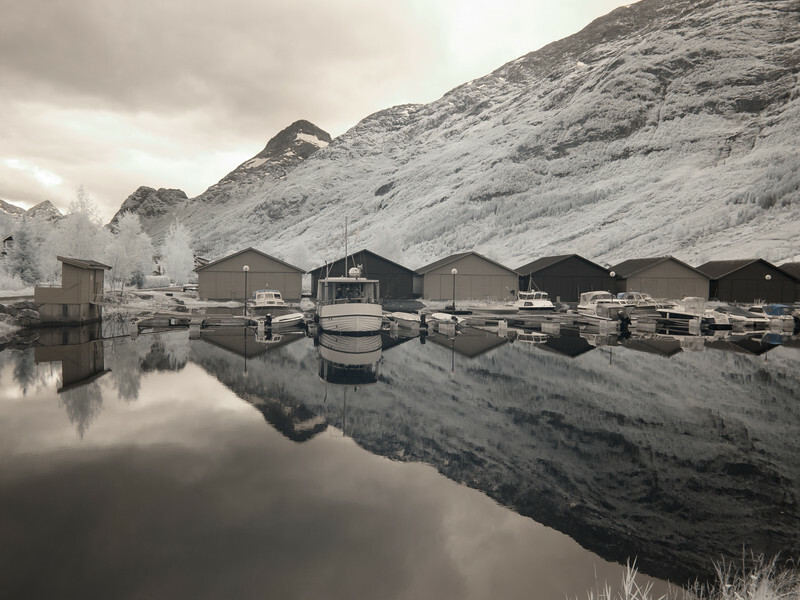 A panorama of our lunch spot in infrared. 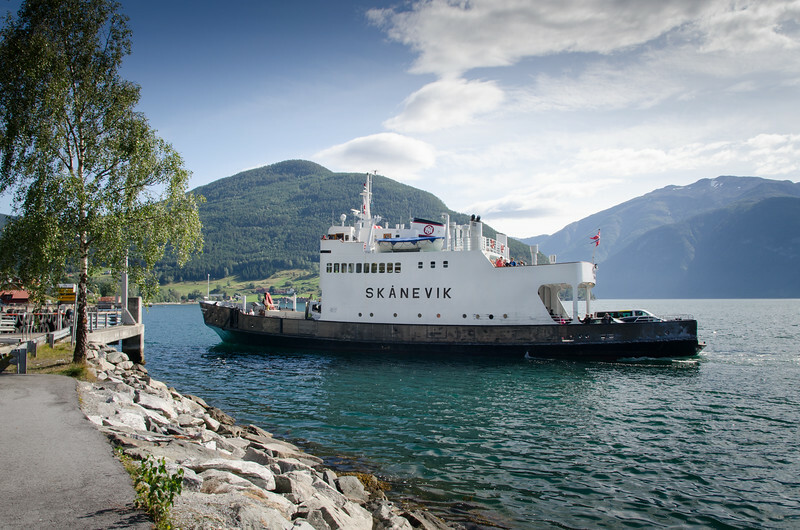 The Fjord2 ferry Skanevik arrives in Kaupanger to take us on the long but scenic ride to Gudvangen. 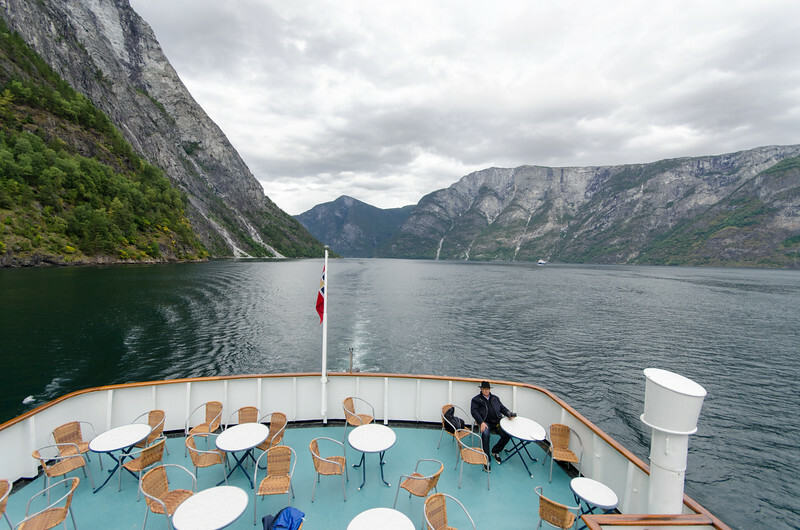 Our first crossing of Songnefjord. 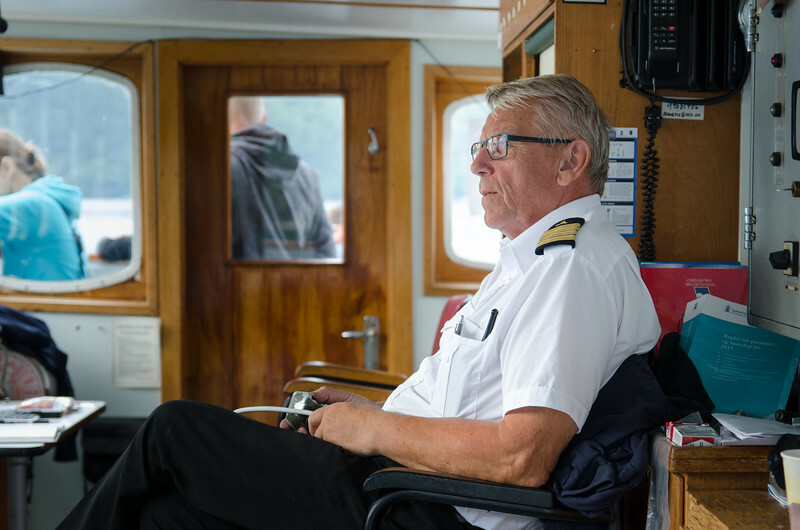 The captain of the ferry Skanevik. Enjoying some sun on the deck of the Skanevik. 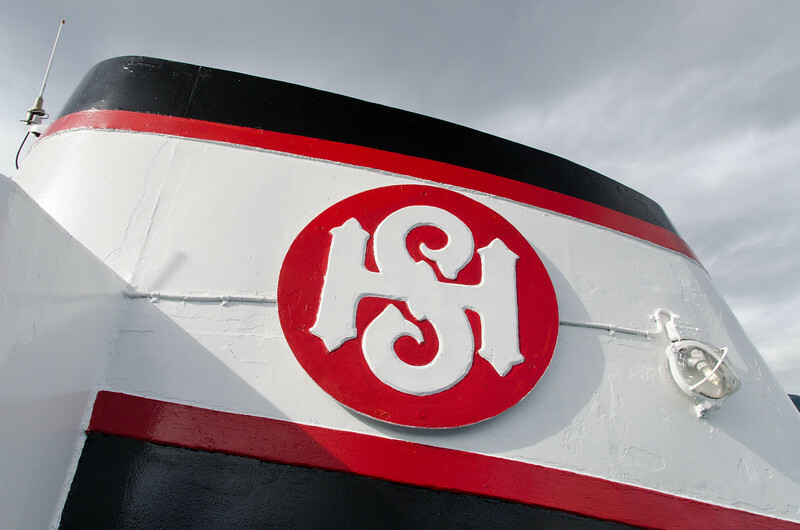 The smoke stack of the Skanevik. Tim enjoying the sun on deck. 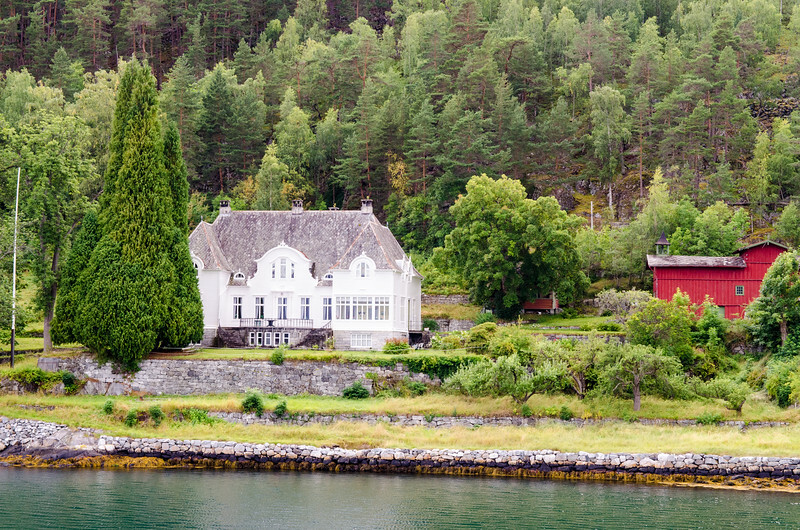 Stately old mansion on Songnefjord. 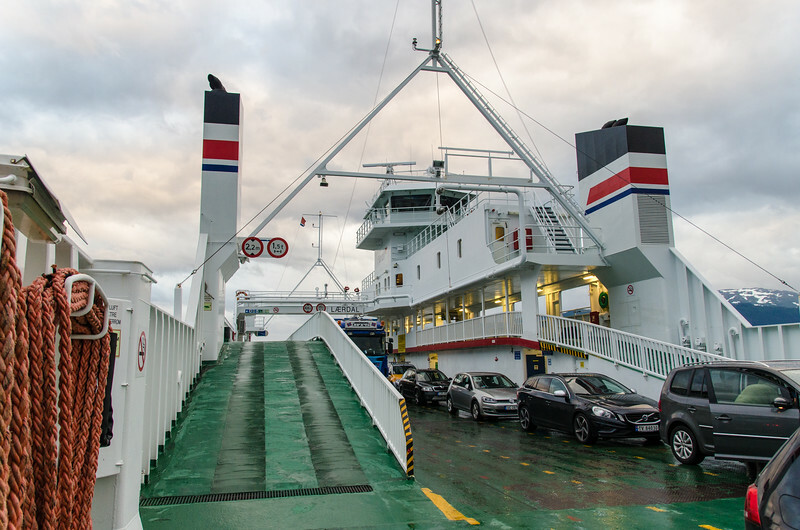 Looking aft from the ferry Skanevik. 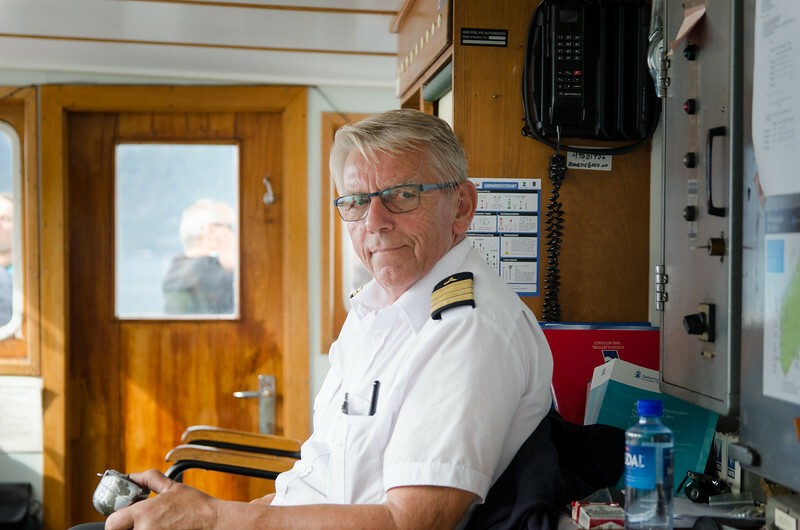 At some points approaching Gudvangen the fjord is quite narrow. You can almost reach out and touch the sides. 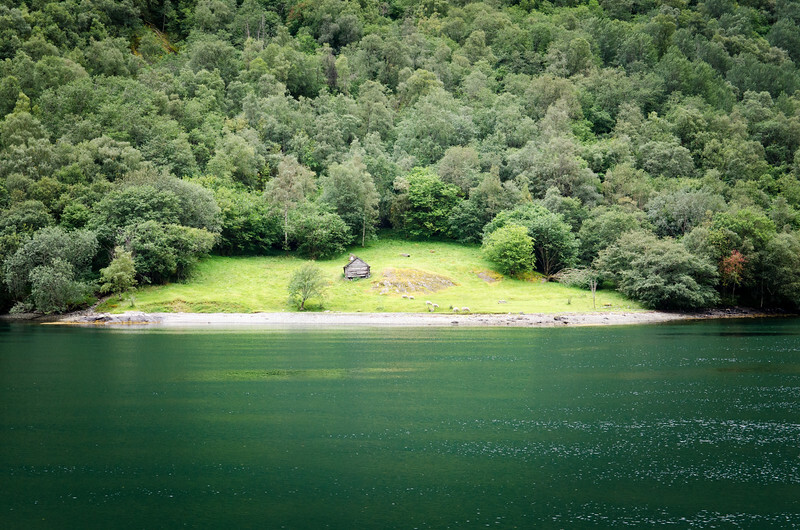 A small sheep meadow along the fjord. In no time at all we had driven south, then back north through a series of valleys climbing from sea level to 3200 feet. 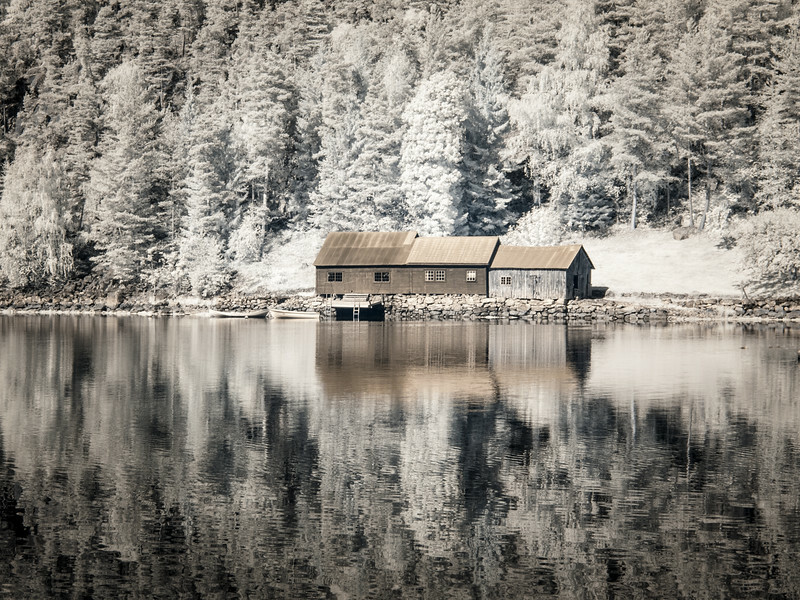 All the suddden it was winter again with snow and frozen lakes. In August! In a short time we were back down at sea level at the town of Vik. 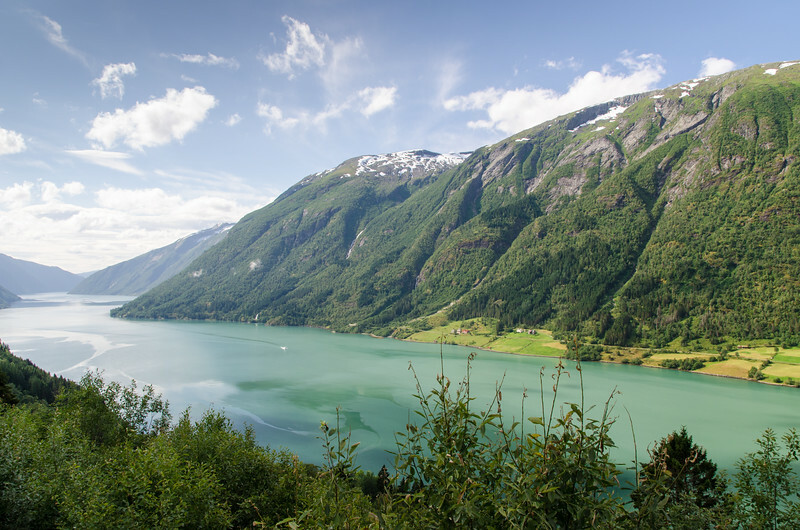 Vik is in a fertile valley on the Songnefjord. 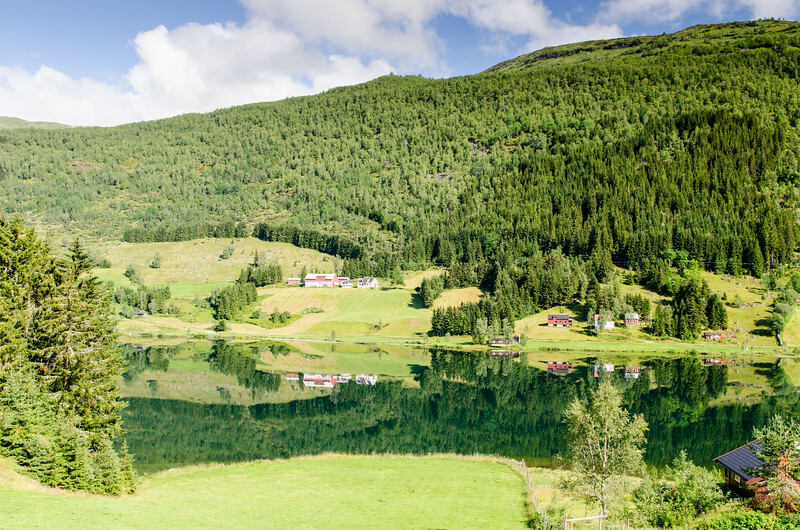 There isn't much good farmland in Norway, so this area has been settled since ancient times. 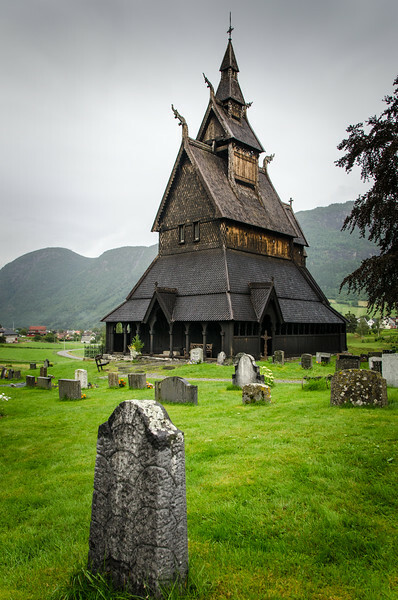 It is home to the Hopperstad Stave Church. 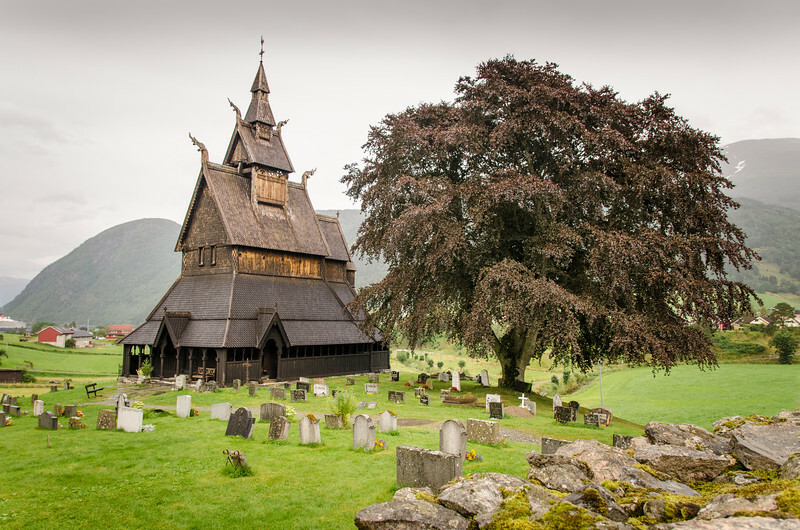 It's hard to believe that this wooden structure dates to 1130AD, but seven samples of the wood have been tested and prove that it is in fact that old. 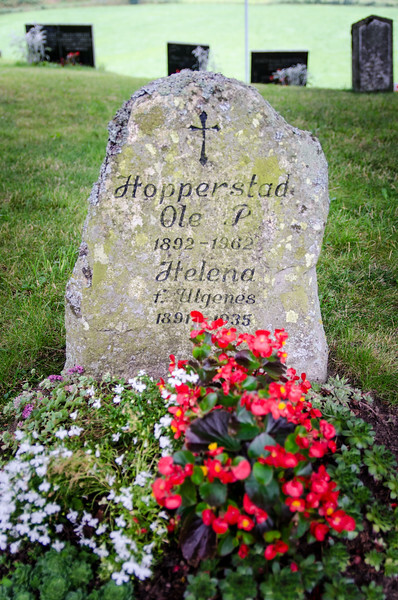 However, it was in quite poor shape until restoration in the 1880s. 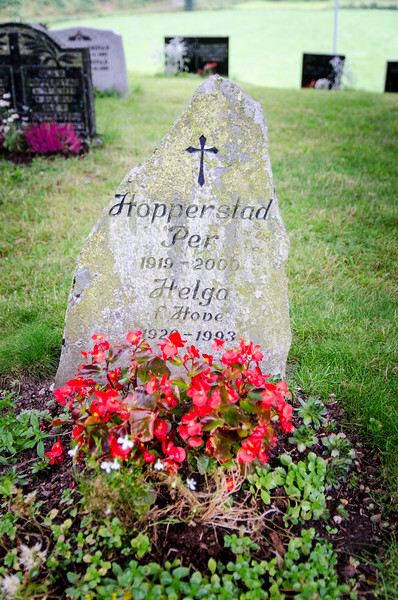 A headstone in the cemetery at the Hopperstad Stave Church. 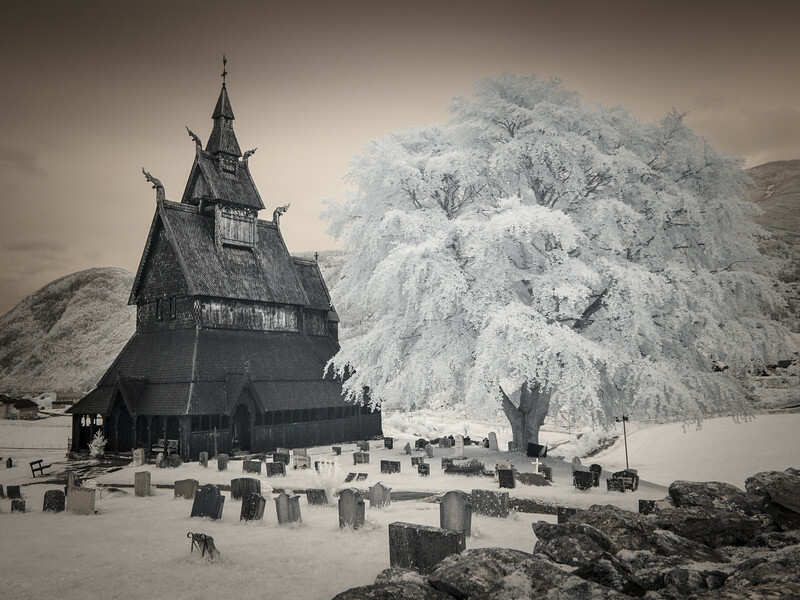 The Hopperstad Stave Church in infrared. 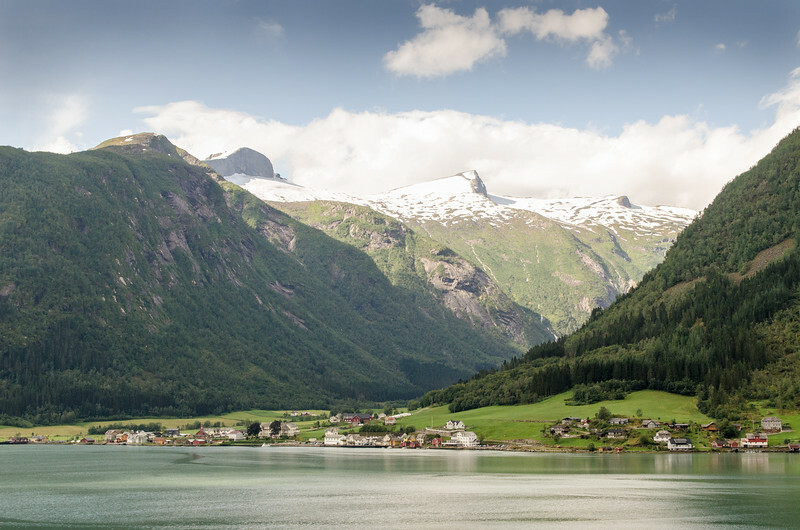 The view as we approach Dragsvik and Balestrand on our second crossing of Songnefjord. 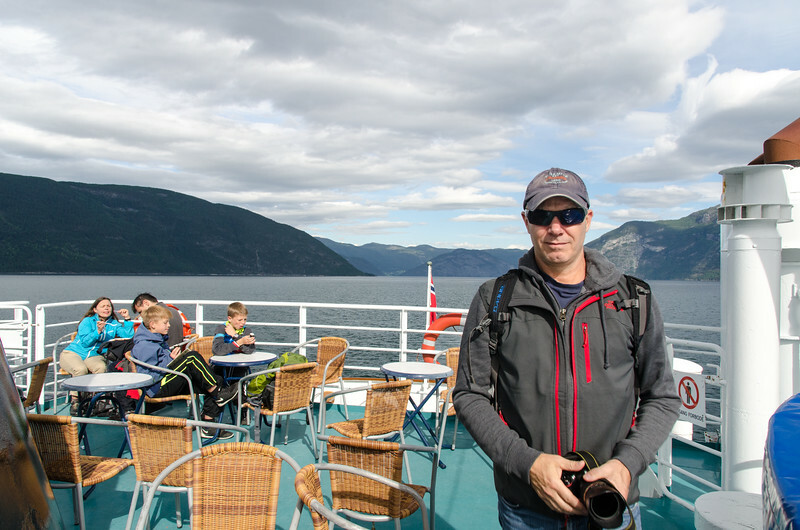 On second and last ferry ride of the day, taking us to our overnight stop of Dragsvik and Balestrand. Some houses near our hotel in Dragsvik. It was a long but rewarding day!